There are things in life that are worth maintaining and restoring. One of those things is your fine (or antique) wood furniture. Keeping wood furniture in optimum shape will make it last longer than you can imagine. While durable, casual, wood furniture—like the classic kitchen table—can be easily cared for with nothing more than a regular wipe down of a wood-safe all-purpose cleaner, fine wood furniture requires more delicate and detailed care. Wax- and lacquer-finished furniture, which includes all antiques, can easily be damaged by overexposure to moisture and harsh chemicals. In this article, we will list down the tips, ways, and strategies to keep your wood furniture looking like brand new. Although there is a limit in how polishing your furniture can protect it from nature’s damage, experts state that polishing your wood furniture will still be a good idea to make its surface feel less frictional. The act of polishing will give the surface that sheen slipperiness every wood furniture owner wants. Polishing would also reduces scratches on the surface and repels the dust off it. Trusted sources also mention that polishing keeps small forms of liquids from seeping into the pores of the wood. The last thing you want is for your wood to rot because of the moisture it has from water spills. How Often Should I Polish? To answer this question, you first have to consider a few factors. One of the most important factors to consider is how often that piece of furniture is used. The act of wiping, cleaning, and scrubbing a wood surface will remove that polished look. The more you clean fine wood furniture, the more likely it is that you’ll need to polish it again. But when will you know that you need to polish it again? You’ll know that when you feel that there’s something wrong with the “buffing” of your furniture. When you feel that the buffing has lost its shine, it means there’s not enough polish on the wood. This is the main indicator that you need to polish again. Experienced woodworkers also recommend using coasters to maintain that natural shine on your wood furniture. Coasters provide more protection to your wood furniture than you’d think! For one, coasters can protect your wood from food, alcohol, and cosmetics. 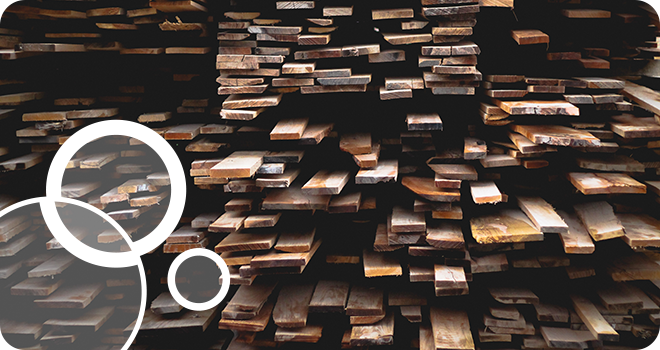 Liquids can get into your wood and cause considerable damage to it. It’s practically cost-free to use coasters, so why not add them to your table to give it that convenient added protection? Another good way to maintain a shiny and smooth surface on your fine wood furniture is to use a vacuum with a brush attachment. Experts indicate that when you regularly clean your wood furniture with a brush extension, it makes the whole wood furniture cleaning process a lot more efficient. If you want to make it look even better, you can use a lint-free cloth with a soft, dry texture to avoid unnecessary moisture from seeping into your furniture. Removing smudges and dust will also be easy by doing this. It’s good to know that once in a while it may be necessary for you to add an extra layer of protection to your fine wood furniture to keep its sheen. One way of doing this is by applying a coat of paste wax. Doing so prevents moisture from getting into the wood and dust from accumulating into its grain. Don’t overdo this, though. You don’t want any wax build ups on your wood furniture, and adding too much of this will surely cause your wood to look oily. Should you find a wax buildup in your furniture, you can just easily remove it with a dampened cloth with synthetic turpentine and mineral spirits. Never use natural turpentine because doing so may leave a sticky and unsightly substance on your table. To avoid making mistakes when applying this, always read the labels and directions in the solvents you’re using. It is also essential for you not to apply this paste near a spark, light, pilot light or anyone who is smoking. One thing that people who own antique wood furniture should not forget is getting the furniture wet. There are varnished surfaces that are better off just soaking in water if they’re severely soiled. But what if they do more harm than good? Some good advice to help you with this is to first test an inconspicuous part of the furniture. Get it wet, and if you see streaks or notice there’s a hazy, white substance, then do not wash it. Once you’ve confirmed it’s safe to proceed, don’t forget to use a mild detergent solution that is mixed with lukewarm water. With a soft cloth or a clean sponge, rinse the fine wood and dry it slowly, concentrating in one small area first before going to the next. Newstime suggests that over-wetting the finish is the last thing you want to do. It is only when the wood furniture is completely dry that you can start polishing or waxing it. Another neat trick to clean substances off your wood furniture is to use oil soaps. Do this first on an inconspicuous spot, so that if you don’t like the results, you can just ignore and stop using it. Experts suggest that it’s also important for any antique wood furniture owner to not overexpose the furniture to sunlight. Doing so would make the grains rough, lose its sheen and make it look dull and tired. If you intend to use beeswax, do so gently and always apply it slowly on the wood furniture. If you want to be extra careful, try to use acid-free microcrystalline wax on delicate wood furniture that won’t smudge on your furniture. There are lots of tricks and red flags to consider when thinking about keeping your wood furniture looking in optimal shape. I hope that these tips will help you keep your wood furniture looking great and lasting longer. You now have a fact sheet to consult whenever you decide to work on maintaining or restoring your wood furniture. More than anything, just try to remember the types of wax, cloths, and solvents that we listed above. Surely, if you follow the above tips, keeping your wood furniture from looking dull won’t be a problem. And of course, you can also apply this knowledge to any woodworking project in general. Feel free to share any of your own tips in the comment section, and remember to spread the knowledge by sharing this article with your friends and family!